Bourbon chicken is one of my favorite foods ever! 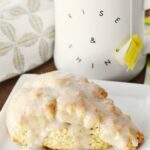 I love the sweet, and sticky taste and have always wanted to recreate the flavors at home. The only problem I faced was that I didn’t have bourbon. Once I finally got some, I had to use it in a fun and tasty way. That is when my recipe for Easy Bourbon Buffalo Wings was created. 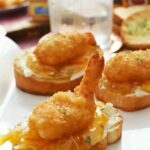 When I first try out recipes, they are sometimes spur of the moment or totally made up. I really should refer to them as creations sometimes, because they are so unique. This recipe was no exception. 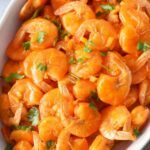 I wanted a sweet, savory and deliciously crisp bourbon buffalo wing that could either be oven baked or grilled. Marinating the wings made the most sense because I didn’t want a sauce that my kids would not be able to eat. When you cook of alcohol it keeps the flavor, but loses the alcohol portion so this worked for us. 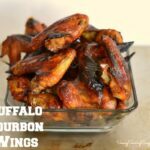 I oven baked these bourbon buffalo wings, but you could easily grill them–next time I will!! A nice twice baked potato, and salad would compliment these bourbon buffalo wings. 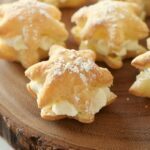 They were so incredibly tasty that my entire family wanted more, but as luck would have it, I didn’t have more! I guess you could say this is a crowd pleasing recipe! Speaking of crowd pleasing recipes. 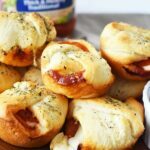 These Amazing Pepperoni Cheese Pizza Bombs are always a hit at parties and special occasions! Mix all the ingredients together in a large glass bowl. Once it is thoroughly whisked, divide the mixture in half. Coat chicken wings with one half of the sauce, and reserve the other half for basting the wings during the last 10 minutes. Line wings on a nonstick foil lined baking sheet. For extra crunchy wings, bake for 75 minutes at 350. Remove wings from oven and baste them with the remainder of the reserved marinade; cook for an additional 15 minutes at 300. 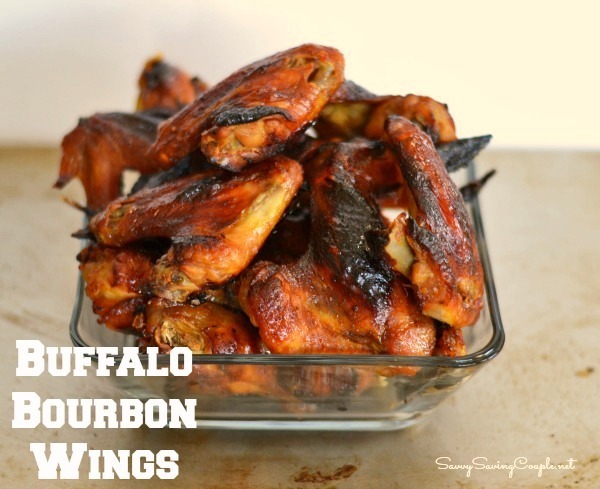 A delicious recipe for sweet and savory buffalo bourbon wings. Add chicken wings to the sauce, and evenly coat them to allow them to marinade. Once they have marinated for at least a few hours, grill them, or bake them in an oven at 350 degrees for 75 minutes *if you love a crispy skin. You guests and family will surely love this easy, and delicious chicken wing recipe!